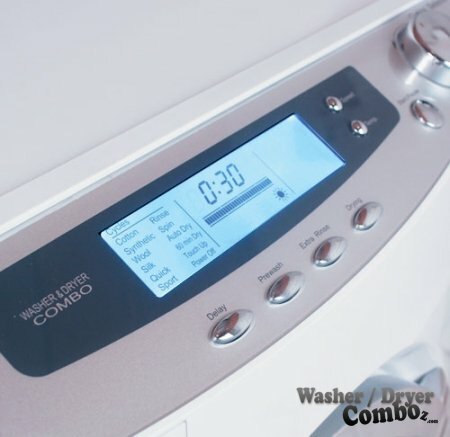 Haier washer dryer combos belong to the lower class and cheaper machines and there are mixed opinions on their reliability. However, I believe that if you use it the right way it works pretty well. What’s more, I actually like the design and wide LCD screen on the front. It’s easy to use and very visual. 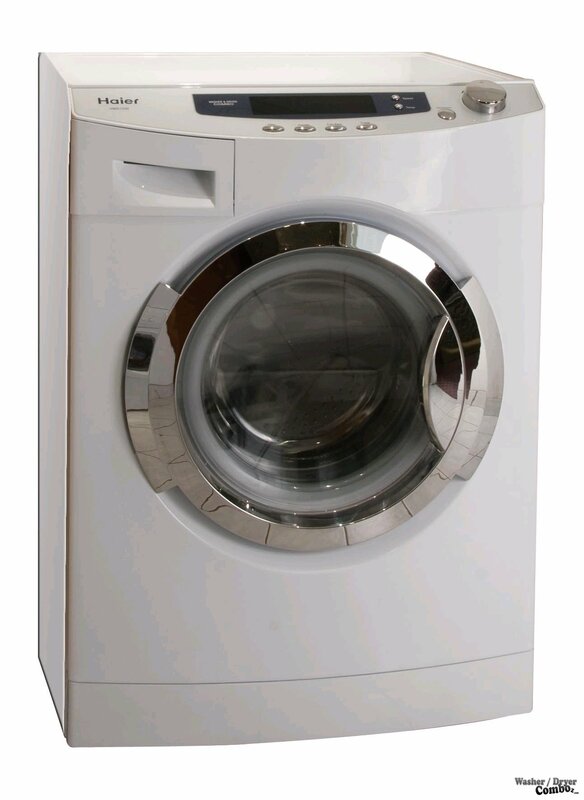 The silver-color framed drum is also very pleasing to the eye and all-in-all this machine is far from looking cheap. 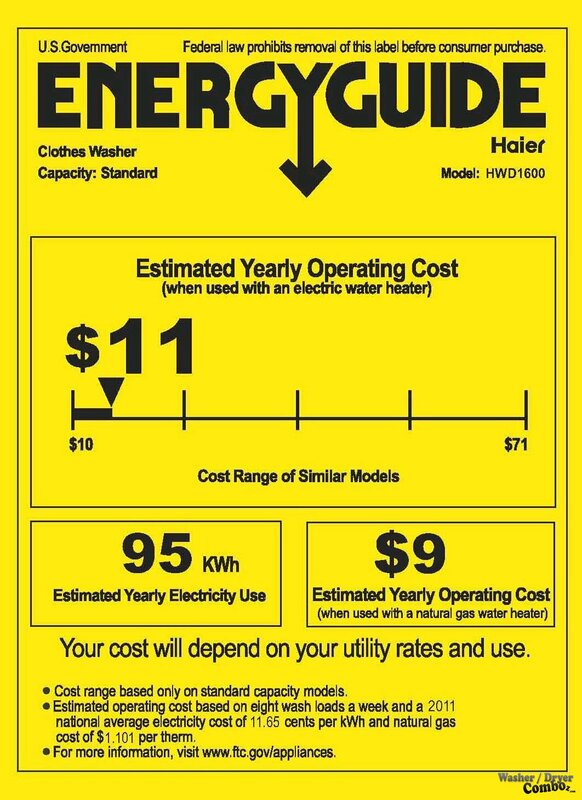 Let’s have a closer look at the specifications so you can get a better picture. 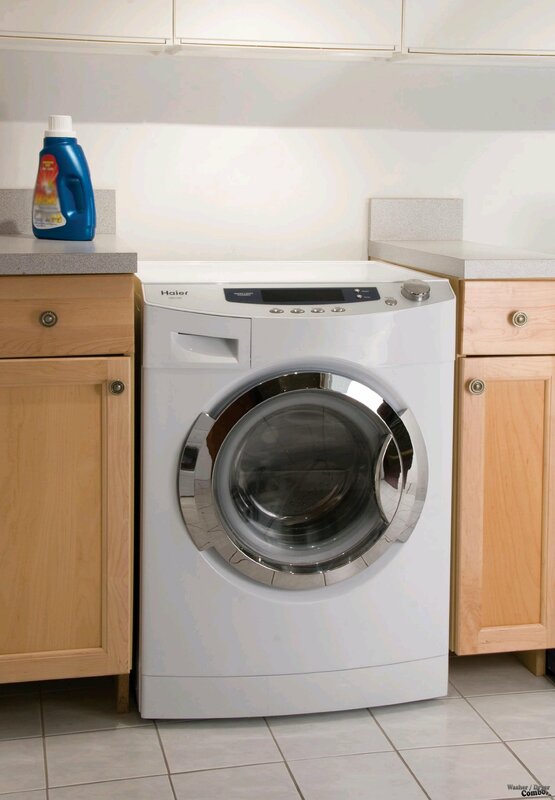 Features: Humidity Sensor(The dryer program should stop when it detects the clothes are dry. ), Fill & Drain Hoses, Delay Start, Pre-wash, Extra Rinse, Child Lock. Wash Programs: Cotton, Synthetic, Sport, Silk, Wool, Quick. Tray Dispenser: Pre-wash Dispenser, Detergent Dispenser, Fabric Softener Dispenser. 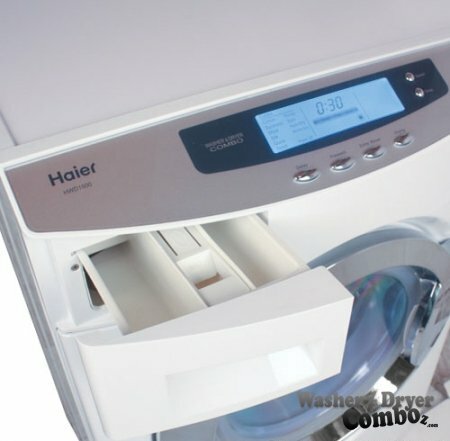 Unfortunately I couldn’t find a video for this model, but I found one for an older version of Haier – HWD1500, which should still give you a nice idea on how it looks like. It’s pretty small so it gives you an extra space for storage for example. 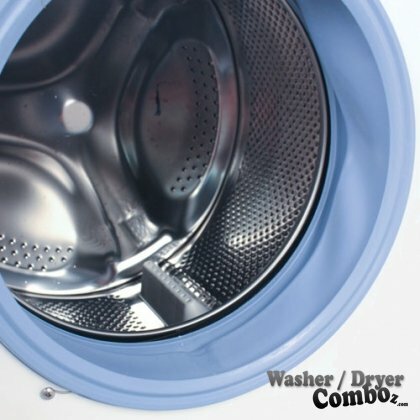 It takes a little to get used to the controls, since it’s not as simple as a regular washer/dryer. I found some user comments saying that this model had problems to dry clothes properly. There were a few people complaining about the drying function breaking after about 3 months of use. 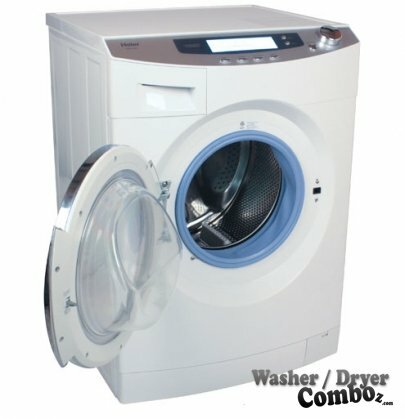 Conclusion: Honestly, I don’t know what to think about this machine as while some people like it and don’ t have any problems, I’ve read quite a lot of complaints about its drying capabilities.